Fear not, Finn and Jake fans! Adventure Time may be coming to a close next year, but the beloved Cartoon Network animated series isn't done just yet. The beloved series is set to conclude next year, but the network has yet to announce an exact date for the finale. But we do know when you can see some brand new Adventure Time episodes and, lucky for you, the wait isn't going to be very long at all. 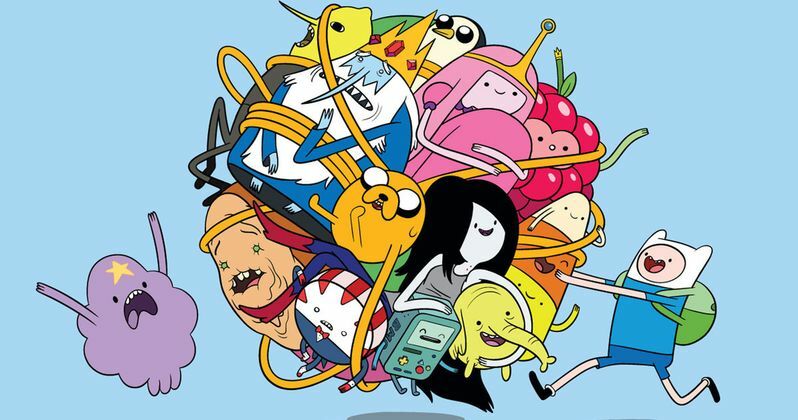 Starting on Monday, July 17, Cartoon Network is airing five brand new episodes of Adventure Time. One each day for the entire week. The good news comes courtesy of Nerdist, who not only were able to confirm Adventure Time's upcoming week of new episodes, but they were also able to get the titles and descriptions for each episode. Interestingly enough, Jake and Finn aren't as prominently featured in all of the episodes as one might expect. At least from what we can tell based on the episode descriptions. But we are going to get some Fionna action, as well the return of our old buddy the Ice King. Here are the titles and descriptions for the new episodes of Adventure Time. "Abstract, airing July 17. As Jake goes through some personal changes, he's haunted by a sinister dream encounter with his brother Jermaine. Ketchup, airing July 18. BMO and Marceline swap stories about their recent adventures. Fionna and Cake and Fionna, airing July 19. An unexpected critic shows up at Ice King's latest Fionna and Cake book reading. Whispers, airing July 20. While safeguarding a frightened Sweet P, Finn is led into a confrontation with an old foe. Three Buckets, airing July 21. Finn and Fern's carefree visit to some old ruins turns disastrous." In addition to the info on the new Adventure Time episodes, Nerdist also debuted a couple of clips from the episodes Abstract and Ketchup. The clip from Abstract features Jake looking a little blue. Literally. And dealing with his bizarre new look. Things are getting a bit weird, but that's not exactly a new thing for Adventure Time at this point. The clip from Ketchup is a classic example of what makes this show so loveable. In it, we see BMO recalling a sailing adventure she had with Finn and Jake that culminates with them riding on a big cat that they initially thought was an island. Those who want to watch the episodes a bit early and have access to the Cartoon Network app can do so starting on July 14. If not, Adventure Time returns on July 17. So keep your eyes peeled. While you wait to check out the full episodes from Adventure Time's final season, be sure to watch the brand new clips for yourself below.